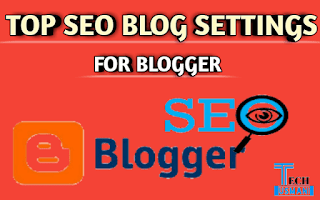 SEO Settings: Today, I am going to tell you about top SEO blog settings for blogger. These are one of the important SEO tips for blogger blogs. 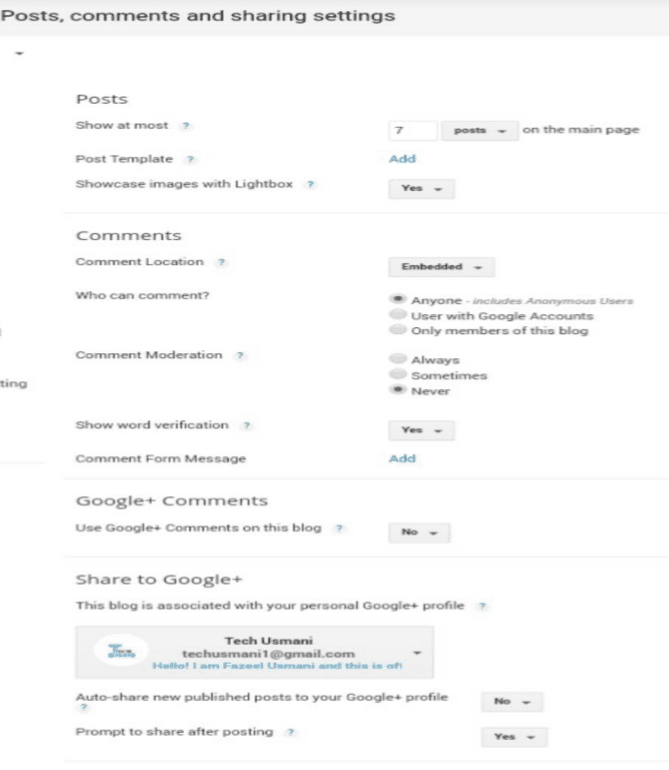 These settings are the ranking factor of blogger blog. 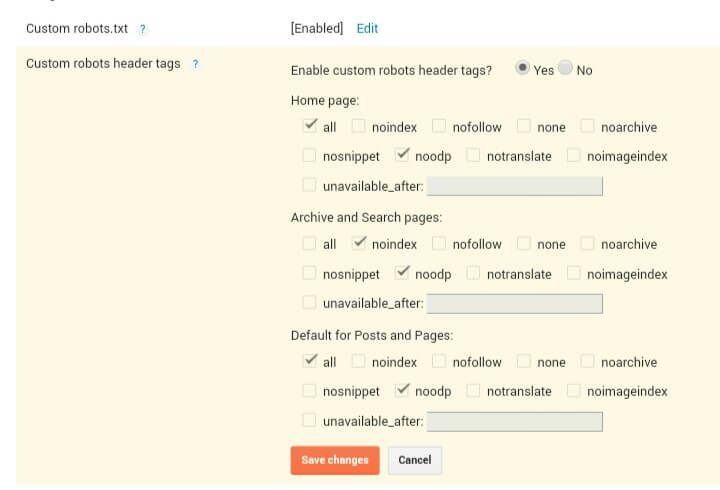 If you don’t do these settings, your website or blog will not show in search engine result pages (SERP’s). You have to learn SEO, but these SEO settings are necessary for On-Page SEO techniques. Let’s Get Started. SEO stands for search engine optimization. It is the process of getting traffic to your website from the organic search results on search engines. The algorithm of search engines such as Google, Bing and Yandex show the websites on their first page because of the domain authority and popularity. The website ranking can be improved by SEO. There are two types of SEO and both plays a major role in the raking of website. On-Page SEO is a technique of SEO which is done inside a blog post. 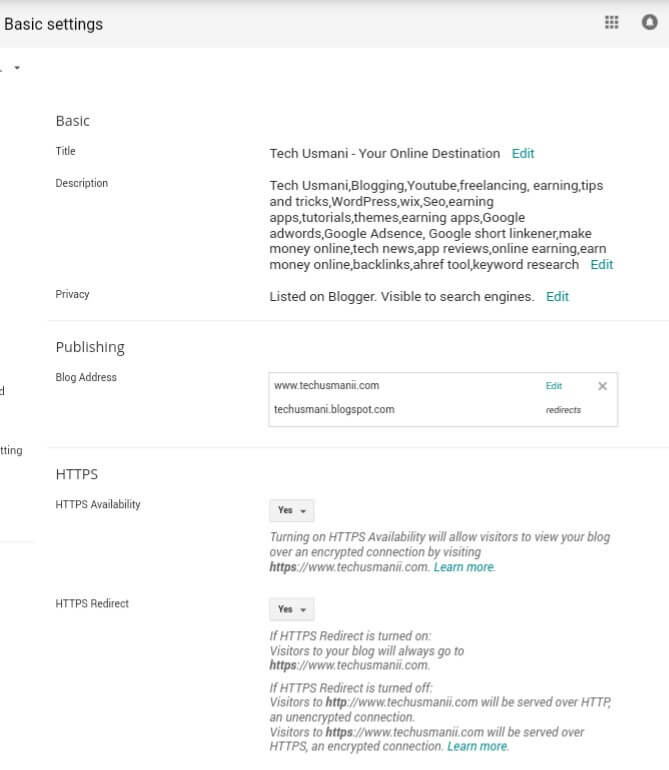 It includes Keyword Density, Title, Meta-Tag Description, Permalink and the length of blog post. 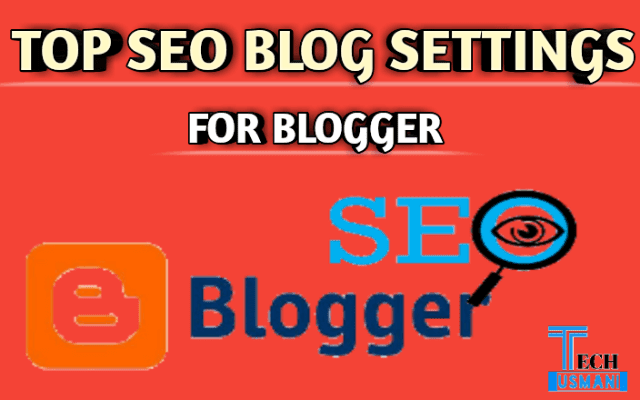 Off-Page SEO is another SEO technique which is done outside a blog post. It includes Backlinks, Directory Submission, Forums, Commenting, Guest Posts and Social Sharings. In the title section, you have to add your website name and also your motive of creating website that should be short. Examples, the motive of Shoutmeloud is Become “Your Own Boss”. 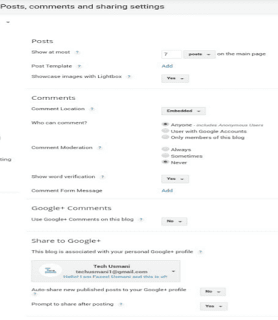 In the description, you will have to add keywords related to your blog topic. You can add maximum of 500 words and these words should be separated by comma. But remember keywords should be according to your topic. 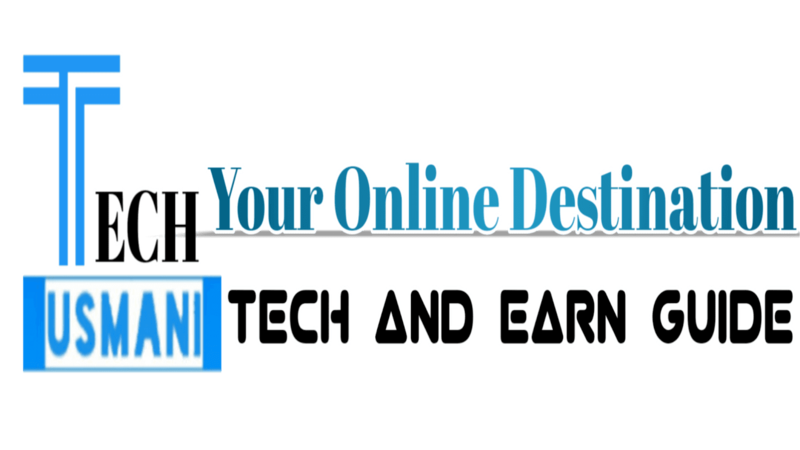 If you have Tech Blog, then your keywords should be like technology, blogging, youtube, apps, reviews, tutorials etc. If you add Health or Fashion related keywords in Description, Google will never rank your website. If you have added custom domain with your blogger blog, then you will have to add SSL Certrificate to your Blog for Secure Connection. But I recommend you to don’t add SSL Certificate to your blogger blog because Google itself provides secure connection in Blogger. For this Go to Setting > Basic then on (Yes) HTTPS Availability and HTTPS Redirects. In this section, you will have to change following settings. • Copy following code and paste it to the Custom robot.txt section. 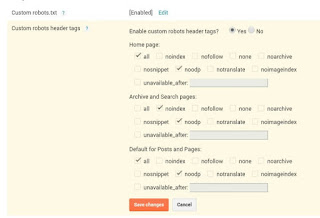 • Custom robot’s header tags should be similar to below image. • Meta Description: It is similar to Description. 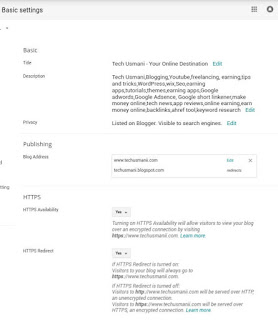 You will have to add keywords related to your blog topic. You can add maximum of 250 words and theses words should be separated by comma.